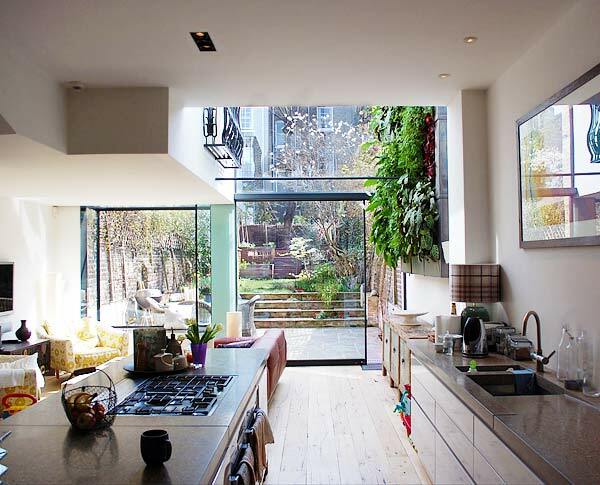 A house extension for a typical London terraced house in Primrose Hill, North London, offered the chance to create an extraordinary living space. 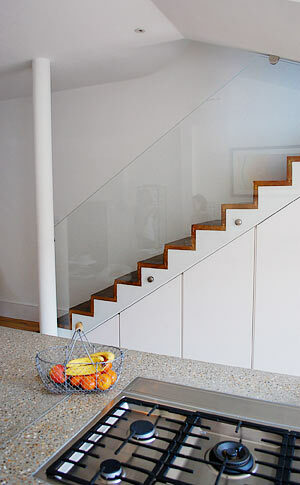 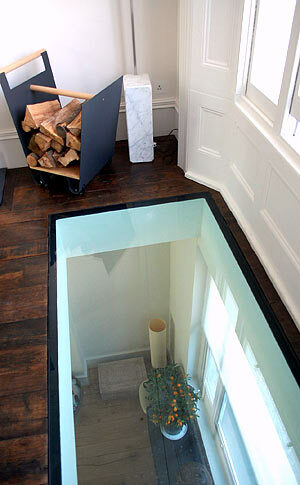 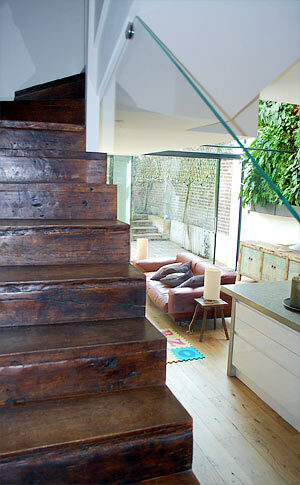 Lowering the basement floor level and removing all walls created a light and open living space. 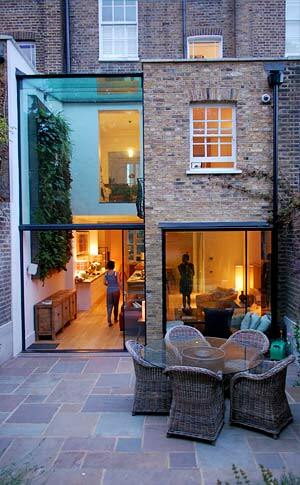 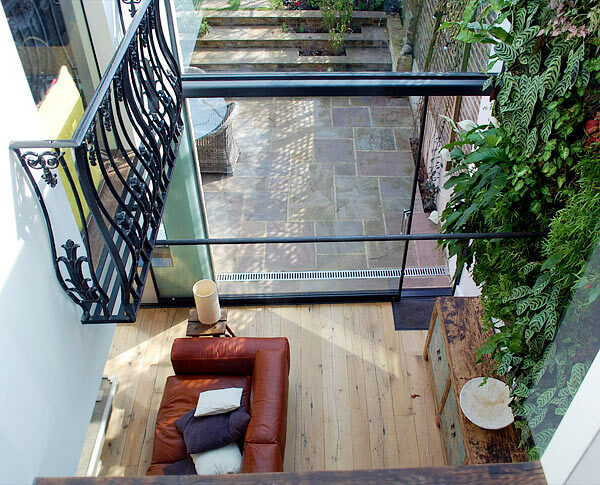 A double height conservatory, complete with living wall completed the transformation. 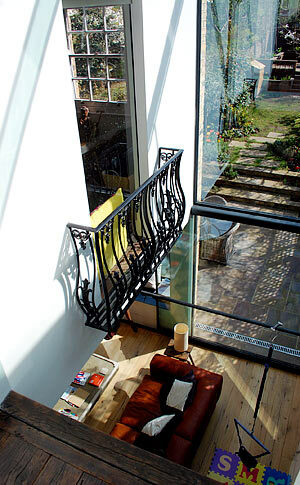 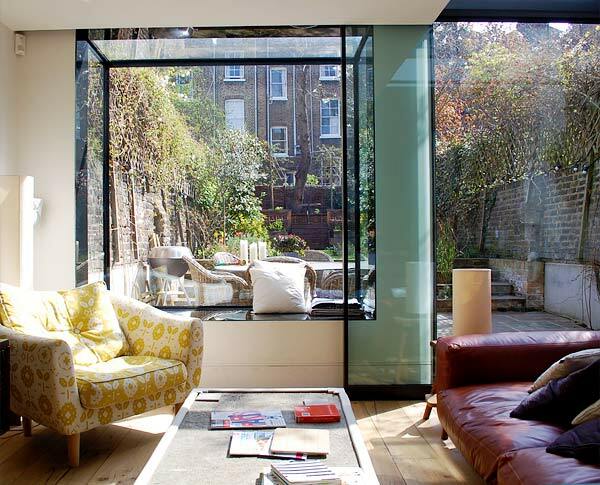 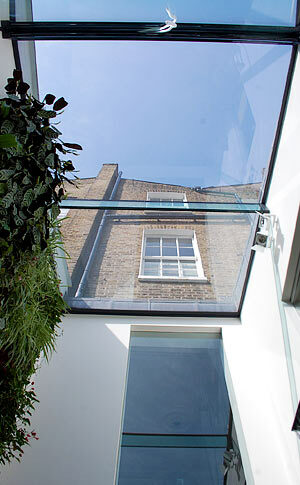 The cantilevered glass box doubles as a window and seat, allowing you to sit in the garden on even the most rainy day.